Apparently Lawrence O’Donnell, who has been struggling in the ratings of late, wants in on some of the O’Reilly infighting action. O’Donnell began a segment last night by pondering whether anyone else sometimes gets the sense Glenn Beck is a smokescreen for Bill O’Reilly? Actually is sort of sounds like O’Donnell is suggesting Beck is a Overton Window for O’Reilly. According to Lawrence O’Donnell, O’Reilly was accusing MSNBC of being “anti-American,” though it sounded more like O’Reilly was doing an impression of something he thinks MSNBC might say. Still, O’Donnell responded by calling O’Reilly a liar and an opportunist. 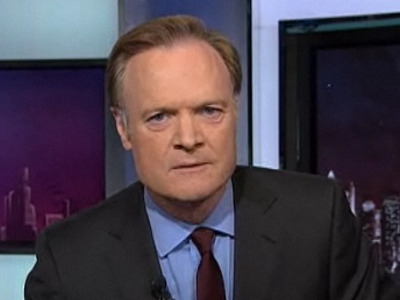 O’Donnell then issued a challenge to O’Reilly: Put up or shut up. Find some actual evidence that MSNBC is anti-American, or stop saying it. Short version: Help me out with my ratings Bill! Hey, it worked for Keith Olbermann.